BITA, the Australian equivalent of the BA and the ACT rolled into one has warned its members about signing up with B2B websites too hastily. This follows advice from the Australian Standards body. The advice was aimed at the Oz building trade but can be applied to Oz bike industry, and in a global economy, the advice is current here too. 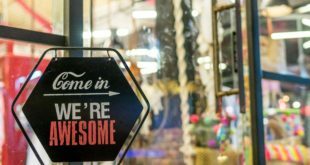 "The building industry’s fragmentation into hundreds of thousands of small firms and their limited computer literacy is an obvious opportunity for a new breed of business-to-business Web sites, says Australian Standards. There are already dozens in the USA and Europe and a number of Australian ventures are planned. These sites have only rudimentary standardisation of their information. Looking ahead this looms as a serious issue." Check the credentials, systems and relevance of any B2B option. Consider the benefit/cost ratio. Consider the confidentiality issues involved. Consider how your system might, or might not, seamlessly integrate with a B2B operation. Setting up computerised web based systems is a bit like building a boat. The hull costs $X but the rest of the fit-out costs at least $X x 2 plus ongoing maintenance, upgrades and servicing. It’s not a case of not building your boat – just be aware of what sort you want in terms of what you want to achieve with it. 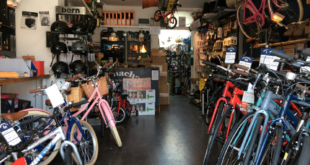 Whilst a small but growing number of British bike trade suppliers now offer a B2B back-end on their consumer-facing sites there is no true fully-featured B2B biking site in the UK, Europe or America. There are two Taiwanese B2B biking sites but these are attracting members only from the Far East. However there are office supply and other non industry specific B2B sites springing up which claim the earth but might not be able to deliver the goods.